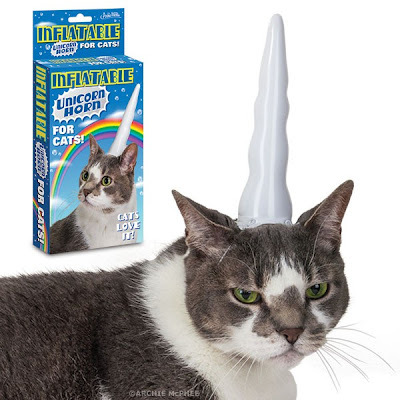 brandflakesforbreakfast: remember the time you bought a unicorn horn hat for your cat? remember the time you bought a unicorn horn hat for your cat? As you can tell from the picture cats really love this product and so the peeps at McPhee finally posted the behind the scene video of the photo shoot to show you. The cat's name is Spyke... just in case you were wondering.